PV Sindhu and Saina Nehwal sailed into the second round of the Singapore Open in the women's singles event on Wednesday. 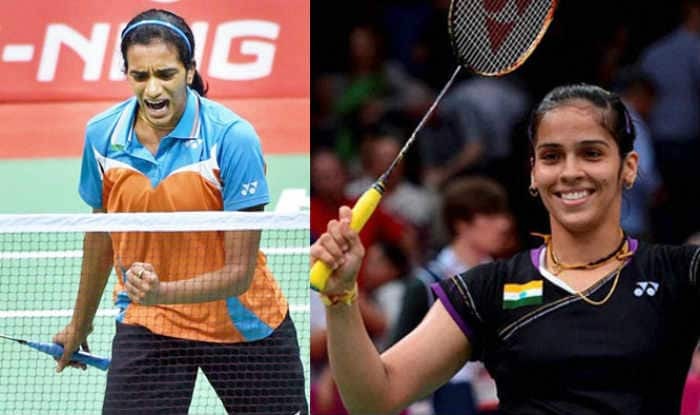 Star Indian shuttlers P V Sindhu and Saina Nehwal sailed into the second round of the Singapore Open with straight-game wins over their respective rivals in the women’s singles event on Wednesday. Taking the court first, Sindhu, seeded fourth, took just 27 minutes to get the better of Indonesia’s Lyanny Alessandra Mainaky 21-9 21-7 in a one-sided match. The Rio Olympics silver-medallist will next play Mia Blichfeldt of Denmark. Later, sixth seed Saina too tamed another Indonesian in Yulia Yosephin Susanto 21-16 21-11 to book her place in the next round. Saina, who won a bronze in the 2012 London Olympics, will next meet the winner of the match between young compatriot Mugdha Agrey and Thailand’s Pornpawee Chochuwong. The pair of Manu Attri and B Sumeeth Reddy lost to qualifiers Danny Bawa Chrisnanta and Kean Hean Loh of Singapore 13-21 17-21. The mixed doubles pair of Saurabh Sharma and Anoushka Parikh too exited in the opening round after a 12-21 12-21 defeat at the hands of third-seeded Thai pair of Dechapol Puavaranukroh and Sapsiree Taerattanachai.